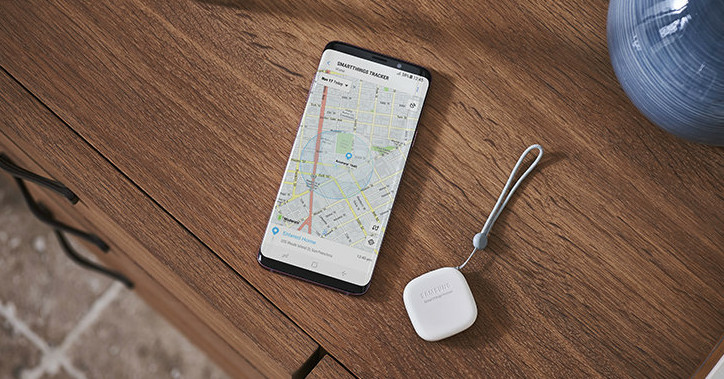 Samsung launches SmartThings tracker with LTE-M (instead of Bluetooth) and helps you find yours. The cellular network can be used for real-time location tracking for your pets and kids, and also for misplaced items. Double tap the tracker's power button to send it from SmartThings application and send SOS message. This tracker is compatible with other Samsung SmartThings devices, so it can be used with other smart home products such as lights, thermostats and security cameras. For example, you can use a follower as an arrival sensor to trigger a light when the device is in range. It also uses it in the geo-fencing area to automatically alert the entry and exit of the tracker. The tracker is waterproof indoors and outdoors, and the battery can be used for up to one week with one charge.